Elections matter, but they don’t determine our ability to remain faithful to the way of Jesus. In fact, early on, the church came to this determination as it wrestled with what it meant to be faithful to such a strange way as the way of Jesus. Jesus set a pattern for the lives of his disciples that was different from the ground up. His way understands power and possession differently than many of the political philosophies that have shaped our culture, and when you want to follow Jesus’s way, it often rubs uncomfortably against the other political patterns at work in the world. The worship of the church, though, does something to us politically. Christian worship is political! Chances are, that notion either sounds strange or makes us just a tad uncomfortable. After all, many of us have grown up thinking about things like religion and politics as living separately in their neat little boxes, removed from each other. The problem is that, when we are baptized into Jesus’s way, everything gets wet—even our politics. So what do I mean by Christian worship being political? I mean that in a world that offers us political philosophies based on gaining power and using that power to our advantage, God uses Christian worship to remind us that our political heritage is strangely not at home among those who understand politics to be about amassing power for their own sakes, or to make the world in their image. Christian worship remakes us in Jesus’s image. And that gets political. The problem is that, when we are baptized into Jesus’s way, everything gets wet—even our politics. In the pattern of Jesus’s life, we don’t use the power we have to shape the world to our liking or to solidify our advantages; rather, we use our power to offer the redemptive hope of salvation to those who have no advantages to speak of. It’s probably not right to say that I like a passage found in John 13 because, if I’m honest, it challenges me on what I’d actually like politics to be about, but it’s powerful regardless. In verse 3 in the NRSV translation, we learn “that the Father had given all things into his [Jesus’s] hands,” and the first thing Jesus does with those hands is to wash the feet of his disciples (v. 5). Some translations, like the NIV, will say things like, “the Father had put all things under his power,” which gets at the same idea—and the point is what Jesus does with the power that has been given to him. Rather than use it to prop himself up by force and establish a new kingdom according to the pattern of every other kingdom that has existed to that point, he uses his power to serve others—and now a completely different kind of kingdom is beginning to show up. Christian worship helps us know what to do with our hands when we have been given power. In hearing passages like John 13 read in our gatherings, we are reminded of Jesus’s distinctive pattern, and the Holy Spirit begins to reshape our political hopes and aspirations according to the pattern of Jesus’s life, death, and resurrection. In using the power in our hands for the sake of others, God is not only helping us be more distinctively holy but is also renewing us in God’s own image. The call to a holy life often challenges the ideas that are commonly accepted in society, but the good news is that it does so by calling us to be more like Jesus—which brings us back to the claim at the beginning of this post. Elections matter, they have consequences, and I think most folks agree that the outcome of an election does indeed have an impact on the lives of real people. But our ability to remain faithful to Jesus’s strange, holy way does not depend on elected officials making it easy. In fact, the church has a long history of living in politically faithful ways when those in authority are not keen on the way of Jesus. There are a number of places in Scripture that highlight this. For example, part of the political background behind Paul’s admonitions of marriage and singleness in 1 Corinthians 7 have to do with the fact that the Roman government isn’t wild about the fact that some Christians are more concerned with following Jesus than with getting married and having children. Even modern governments begin to squirm when birth rates are too low to provide good workers and soldiers to promote the economy and defend the homeland. So when Paul suggests that singleness is just as holy a vocation as married life, we begin to feel the tension between the way of Jesus—who uses his power for others—and the way of political structures that depend on workers and soldiers to preserve their own interests. The point here is that, whether single or married, faithfulness to Jesus doesn’t depend on the political expectations of a society that isn’t comfortable with Jesus. But our ability to remain faithful to Jesus’s strange, holy way does not depend on elected officials making it easy. The book of Revelation is even more interesting in this regard. About the time John is recording his vision on paper, the political rulers are not making it easy for early Christians to pattern their lives after Jesus. But John does not see a new creation only populated with those whose political rulers have adopted the way of Jesus. Rather, those who have remained faithful to the way of Jesus—especially those who’ve remained faithful to his strange and holy way, even if it has cost them everything—are the ones who are honored (Revelation 6:9–11). Revelation holds those who overcome in high regard (3:21). The fascinating piece, though, is that those who overcome do so in the same way that Jesus overcame. As Revelation has it, overcoming is remaining faithful to the humble, strange, and holy way of Jesus, regardless of whether such an approach is appreciated by those in political power. Here’s the good news: While elections certainly matter, our ability to remain faithful to the way of Jesus doesn’t depend on political leaders making it easier for us. The Holy Spirit has always enabled and empowered Jesus’s disciples to follow in his way. Some of our brothers and sisters in the faith have endured suffering at the hands of political authorities for following Jesus. Others have followed Jesus quietly and peacefully under official protection. All of them have been empowered by God, who grants us the ability to remain faithful to Jesus. 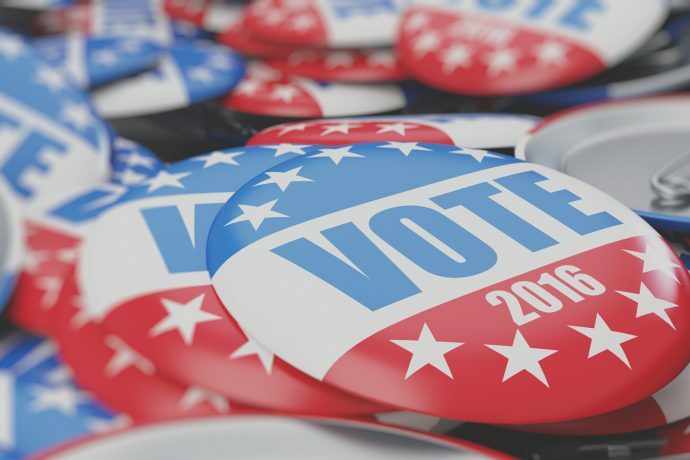 While the outcome of the upcoming election will matter for real people and real issues, the good news for Christians is that our ability to follow Jesus faithfully doesn’t depend on who receives the most votes. Whether it be easy or difficult, thanks be to God for the gift of the Spirit, who enables us to lead a life of holiness in the way of Jesus. Dr. Timothy R. Gaines serves as a religion professor in the Millard Reed School of Theology and Christian Ministry at Trevecca Nazarene University. Together, he and his wife, Shawna Songer Gaines, have written Kings and Presidents: Politics and the Kingdom of God, a book designed to equip Christians with a political vision for politically contentious times. A free, downloadable small group guide to discussing the book is also available from NPH.